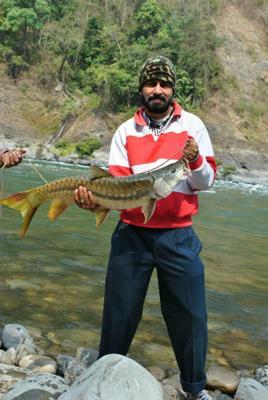 This is one of the best looking fish I have ever caught in a fresh water river. Just see the color. Now a days one hardly catches golden masheer because its population is decreasing alarmingly. Poaching and commercial fishing are the main reasons. It weighs 10 kgs.